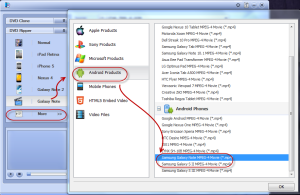 How to Watch DVD Movies on Galaxy Note 3? I am going to be on a trip with my family and we will spend hours on the train. We also have lots of Disney DVDs at home. Will your program help me convert the Disney DVD movies to my new Galaxy Note 3 so that my kids can watch them during the journey? Well, Samsung Galaxy Note 3 is quite hot these days. Equipped with a larger screen than the last one, this so-called 'phablet' assures you a wonderful experience in watching HD movies. Any DVD Cloner Platinum is a nice choice for you to convert DVDs to videos in order to watch DVD movies on your Samsung Galaxy Note 3. On one hand, it is a powerful DVD ripper program which can remove all kinds of protections on DVD movies. On the other hand, it is a practical DVD converter that enables you to convert the Disney DVDs to high definition video files in simple steps. You can transfer the converted DVD movies to Samsung Galaxy Note 3 and enjoy it everywhere. Download the evaluation version and follow the below step-by-step instruction to have a try! 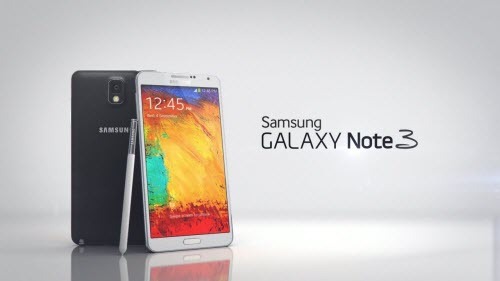 How to Convert/Rip DVD to Videos for Samsung Galaxy Note 3? 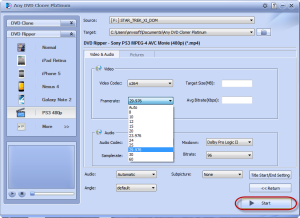 Any DVD Cloner Platinum is an easy to use DVD to Samsung Galaxy Note 3 converter. You will find it handy regardless of your level of experience. Step 1: Launch Any DVD Cloner Platinum after you download and install it and then insert the Disney DVD disc to DVD drive. The program will analyze the structure of the inserted DVD and recognize the longest real title in seconds after you press "Open Disc" button. When the analysis is displayed in the main window, you can click the DVD ripper tag in order to switch the program from a DVD cloner into a DVD ripper. Step 2: You can choose Samsung Galaxy Note 3 in output profile directly which is much easier for your operation. If you cannot find the preferable option, please click the last "More" tag to find the desired one in pop up dialogue box. 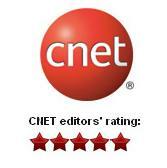 Any DVD Cloner Platinum can convert DVDs to not only Samsung Galaxy Note 3, but also other popular phones and tablets. Alternatively, you can choose conventional video file formats and custmize the output video before conversion. Step 3: Any DVD Cloner Platinum supports chapter selection. If you would like to change the profile of output video or audio, you can click "More Settings" button to adjust the output quality. Click "Start" button after you confirm all your changes. Once it finishes ripping, the destination folder will pop up automatically and now you can transfer the video file to your Sumsung Galaxy Note 3. Now you can enjoy the DVD movies on it to pass time during the journey. It is very easy for your operation right? With this DVD to Samsung Galaxy Note 3 converter, you can now convert all of your DVD movies and watch it on the phablet. We strongly suggest you to download and give it a shot.